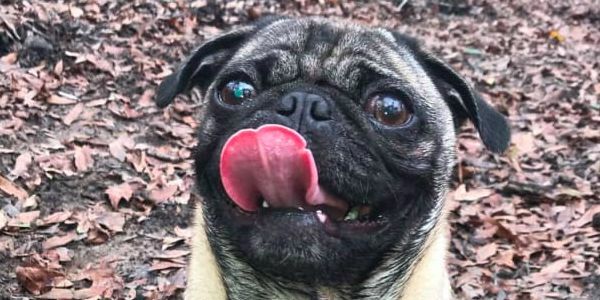 On Valentine's Day, Kiley Walker realized her pug, Bentley, and her roommate's dog, a pitbull mix named Luna, had gone missing. When Kiley and her roommate went out looking for their dogs, they came across two utility workers and asked if they had seen a pug. They had. They pointed to the nearby grass - where Bentley's dead body was laying. At first, the utility workers pretended they didn't know what happened to Bentley, but eventually the truth came out: One of the workers had clubbed Bentley with the handle of a pry bar, killing him. Please sign this petition demanding that authorities investigate this incident and take the appropriate actions based on their findings. According to the utility workers, Bentley and Luna approached them in a threatening manner. They said that Luna was growling and that Bentley was trying to bite one of their legs, and justified the killing as an act of self-defense. Gainseville Regional Utilities has defended its employee's actions, saying that the workers acted according to protocol and won't be facing disciplinary action. Kiley has a hard time believing that Bentley would act in an aggressive manner, and thinks that he was probably just trying to play. But even if he was threatening the workers, it wasn't necessary to kill the dog. They could have subdued Bentley in a non-lethal way or sought refuge in their truck. Help Kiley get justice for Bentley by signing this petition urging Gainseville police to investigate the killing now!